All photography on this website is reproduced as accurately as screen resolutions will allow. 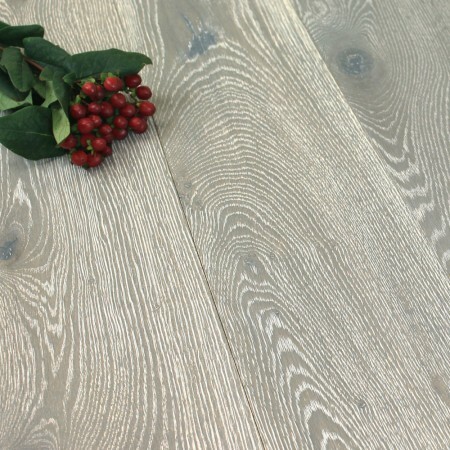 Flooring colours may appear differently depending on the shape, size and lighting of a room (please order a free sample to get a more accurate colour). Engineered hardwood flooring is extremely versatile and durable so the perfect choice for any room in your home. It is constructed of a wear layer of your chosen species of wood and then a plywood base to give stability and strength. 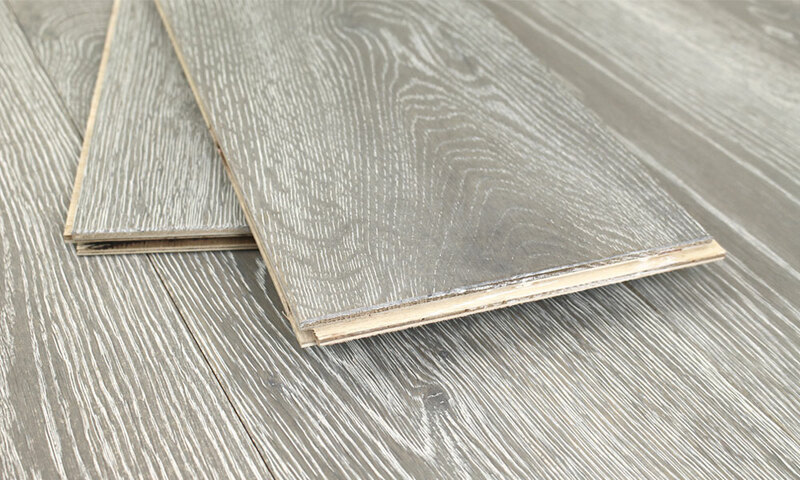 Once it has been installed it looks just like solid wood flooring, although you have the extra benefits of choosing from wider and longer boards, being able to use it with underfloor heating if you wish, and it can be installed in different ways depending upon requirements. 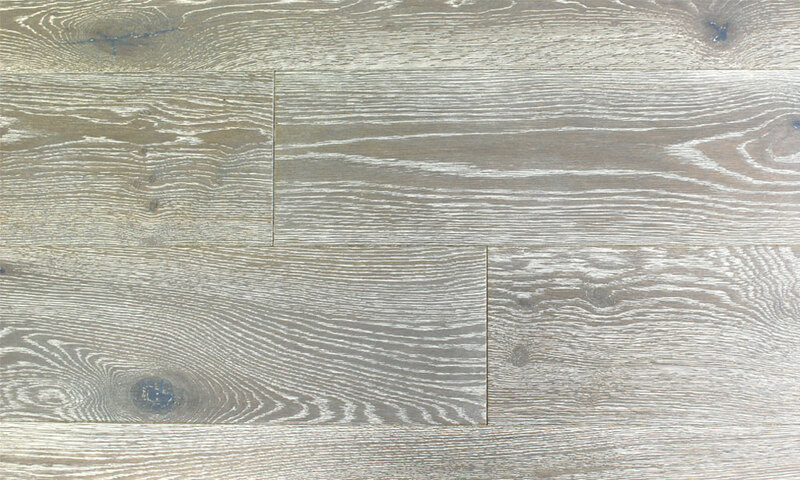 Oak is by far the most popular choice when it comes to hardwood flooring. It is a timeless and traditional flooring which can also offer a modern feel to a contemporary space. 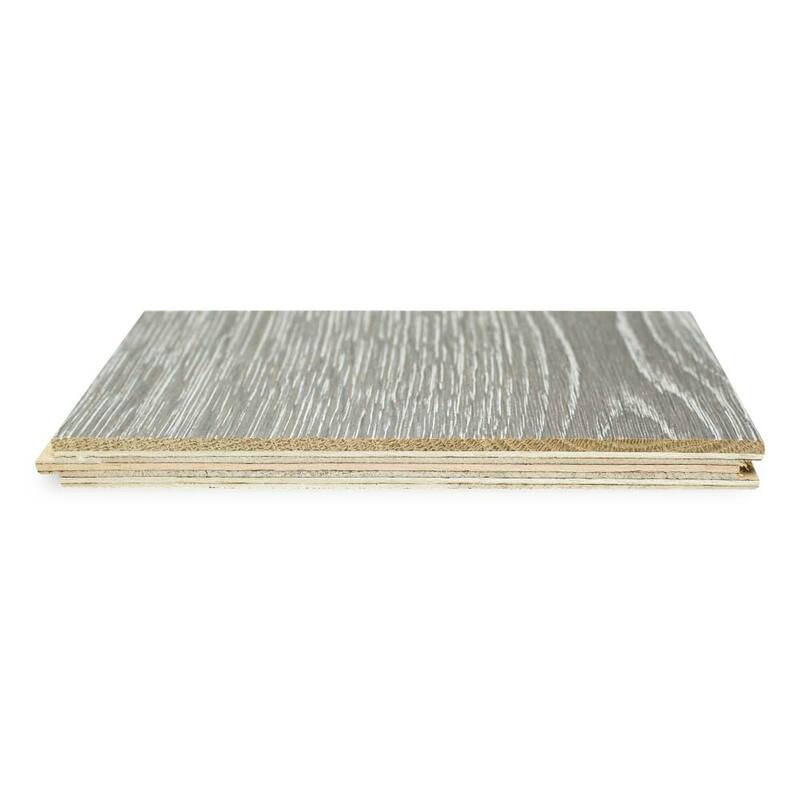 Its pale cream, golden and darker tones create a unique grain pattern where no two planks of flooring are the same. It is a relatively hard and durable flooring material and can last a lifetime if looked after properly. Rustic grade hardwood flooring is also sometimes known as CD grade. It contains natural grain patterns and heavy colour variations along with large knots and visible sapwood. A brushed and oiled finish to hardwood flooring means that the surface of the flooring has been lightly brushed to expose the natural qualities and charm of the wood without causing any damage. The hardwood has then been protected with a matt oil. The floor will be ready to use once installation is complete. 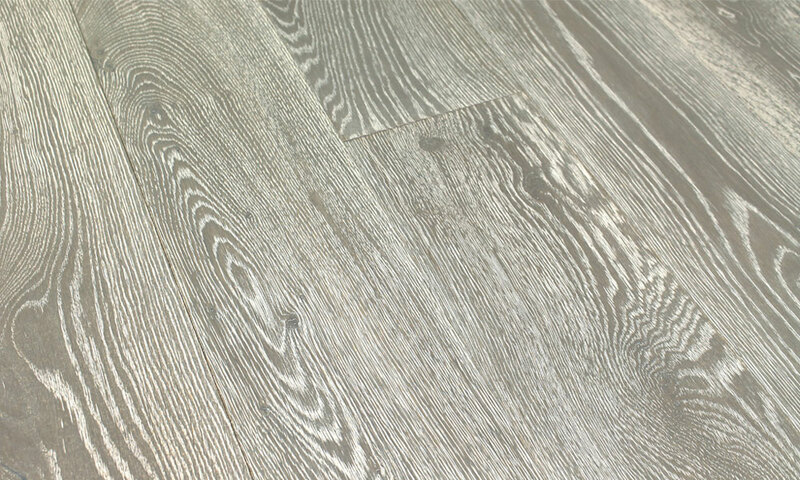 Tongue and groove flooring is the traditional method of installing wooden floors. Each plank of flooring has one long side and one short side with a protruding tongue and one long side and one short side with a rebated groove. The tongues and grooves fit together creating a snug and secure fit. Floating a floor over an underlay means that the planks of flooring are attached together by gluing the tongue and groove joints, but they are not fixed directly down to the subfloor; instead they float over a layer of underlay. There are various types of underlay including thermal barriers and sound reducing underlays. This method of installation is also compatible with underfloor heating. Only engineered hardwood can be floated over an underlay. By gluing your hardwood floor directly down to the subfloor you will create a full surface bond between the existing floor and your new hardwood floor. You will need to use a flexible flooring adhesive to allow for natural movements with changes in temperature and humidity. Either solid wood flooring or engineered wood flooring can be glued to the subfloor. Your hardwood flooring will need to acclimatise to its surroundings before it can be installed. Solid wood flooring should be left for at least 7 days and engineered wood flooring should be left for at least 3 days. It should be left in the room where it is going to be installed, which should be dry (no new drying plaster or concrete), heated to between 18 to 24° C and with a relative humidity of between 45-60%. All types of hardwood floors are easy to look after and maintain. Simply sweep on a daily basis with a soft bristle brush to remove any dirt or dust, and then clean on a weekly basis (more often if needed) using a microfibre mop and wooden floor cleaning spray. To prevent any unwanted dents or damage to your hardwood, remember to remove outdoor footwear, use felt protector pads on the bottom of furniture, wipe away spills immediately and never drag heavy or sharp object across the floor. This will ensure that you floor keeps looking at its best for as long as possible.